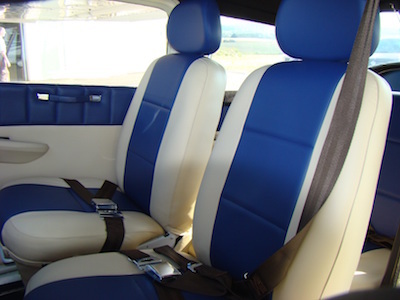 Our aircraft Cessna 172 is a four-seat, single engine, high wing aircraft. The engine is Lycoming with horsepower rating 160 HP. A propeller is fixed. 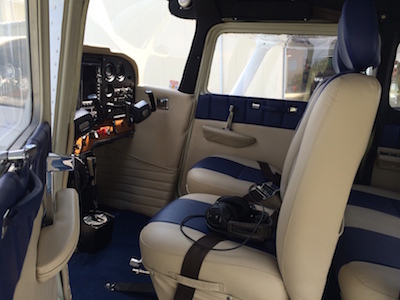 This aircraft has certification for flights VFR (Visual flight rules) and IFR (Instrument flight rules). 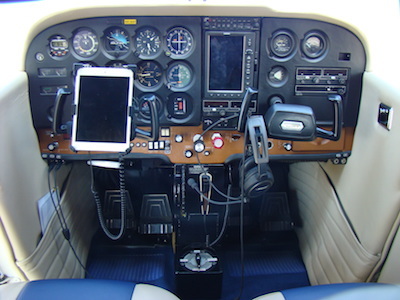 Aviation equipment isGPS Garmin 650. 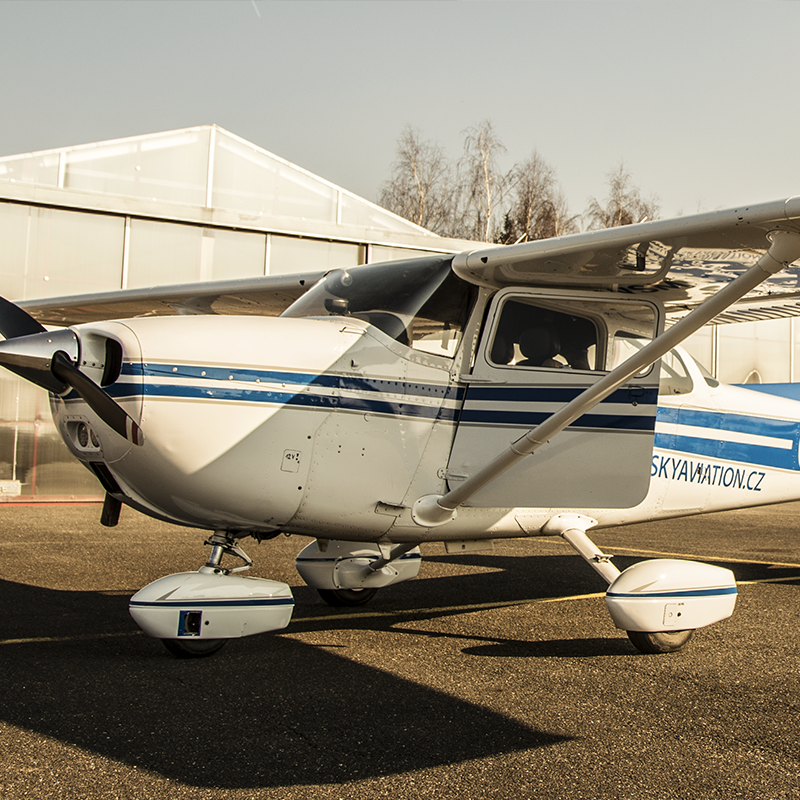 Thanks to its great flight characteristics and high flight safety the aircraft Cessna 172 is excellent for pilot training, sightseeing flights and other aerial works. Read the detailed technical specification: Cessna 172M – specifikace (pdf). 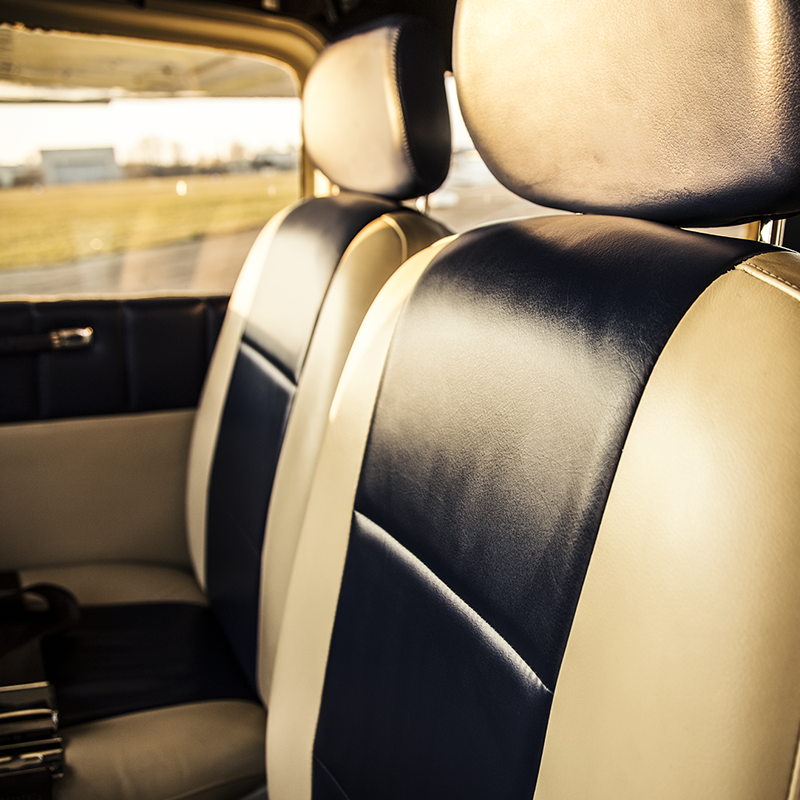 Our plane OK-BAF passed a total overhaul of its interior and exterior in 2014. The Cessna 172 is the most successful aircraft in history. 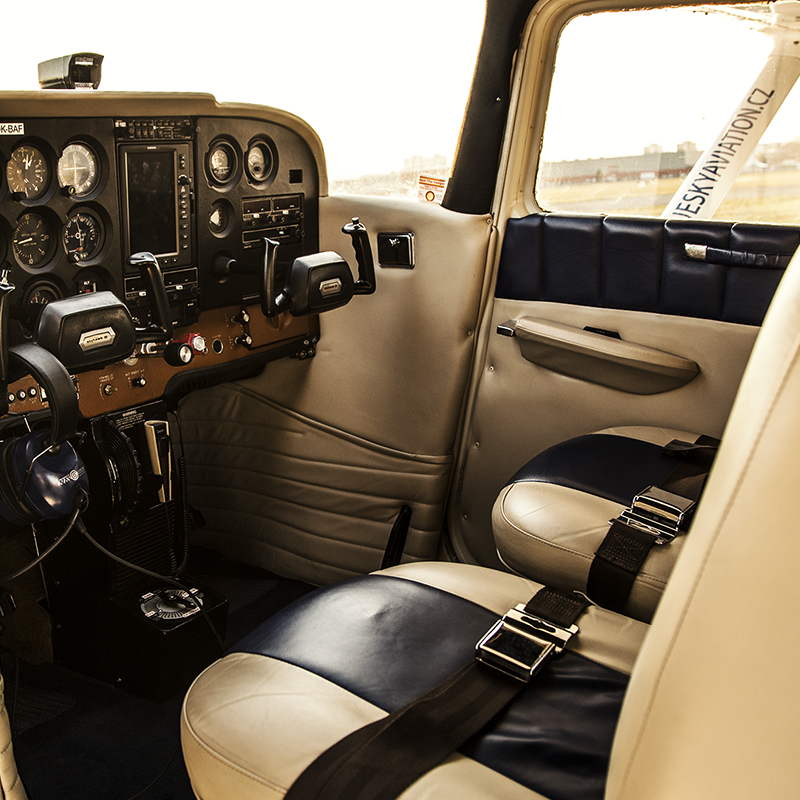 Cessna delivered the first production models in 1956 made by the Cessna Aircraft Company. Cessna, and its partners, had built more than 43,000. 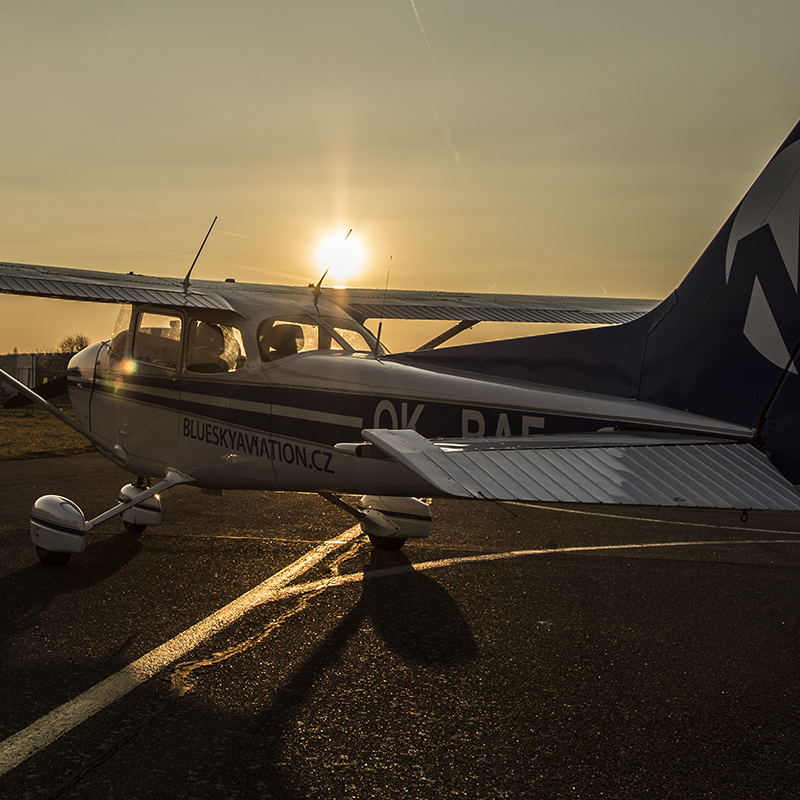 Cessna 172 offers above-average flight characteristics, particularly high flight safety and exceptional piloting ease. For these reasons, it has become one of the most abundant types of aircraft used around the world. Test flight with BLUE SKY AVIATION’s pilot. Pilot liability insurance with insurance limit 200 000 CZK.